Near Mont Saint Sauveur and in the lovely village of St-Sauveur. 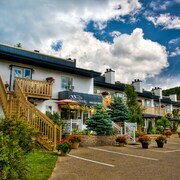 City of St-Sauveur 5 minutes away with many restaurants, spas and bars. Wife and I stayed here while on a recent ski trip to Saint-Sauveur. It was within just a 5 minute walk to St-Sauveur and there was a very small but cute skating rink almost right outside our door. Where to find Saint-Sauveur hotels near an airport? 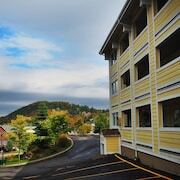 Where can I find hotels in Saint-Sauveur that are near tourist attractions? 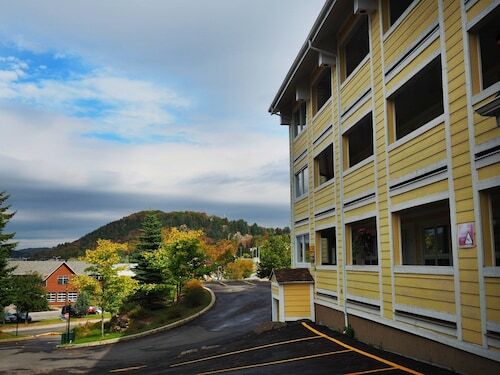 If you are planning a vacation in Laurentides and you're after Saint-Sauveur hotels, you'll find a wonderful assortment to select from. Expedia currently lists 22 places to sleep within a 0.1-kilometre (0.06-mile) radius of the heart of Saint-Sauveur. 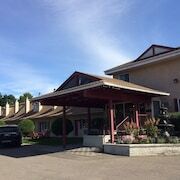 Travelers searching for a comfortable bed close to downtown Saint-Sauveur will appreciate the convenient location of the Motel Mont Habitant. 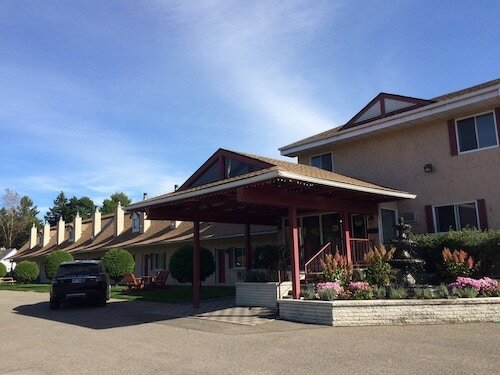 4 kilometres (3 miles) from downtown Saint-Sauveur is the Hôtel Le Versailles. This hotel is a a great option for travelers who are after cheaper accommodation. 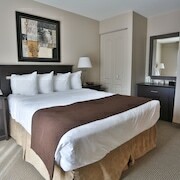 You might also like to investigate the Hotel & Suites Les Laurentides Saint Sauveur. You could investigate the Fiddler Lake Resort and the Esterel Resort. 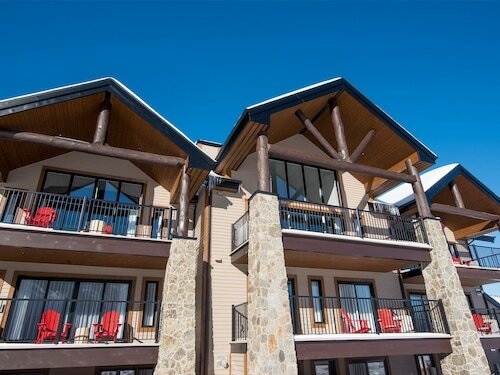 The Fiddler Lake Resort is 8 kilometres (5 miles) away from the center of Saint-Sauveur. The Esterel Resort, is positioned 20 kilometres (14 miles) away. 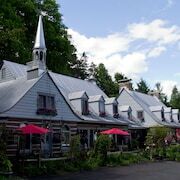 Alternative places to stay are the Manoir Saint-Sauveur and the Auberge de La Tour du Lac. Consider spending a few hours visiting Village du Pere Noel and Glissades des Pays d'en Haut, which you'll find in Sainte-Adele, 10 kilometres (6 miles) to the northeast of Saint-Sauveur. If you'd like to spend a few nights in Sainte-Adele, check out the room rates at the Hôtel Spa Château Sainte-Adèle and Hôtel Spa Excelsior. 6 kilometres (4 miles) to the northwest of Saint-Sauveur, you may also choose to stay at Morin Heights, home to the Le Septentrion B&B and Hotel Alila Saint-Sauveur. 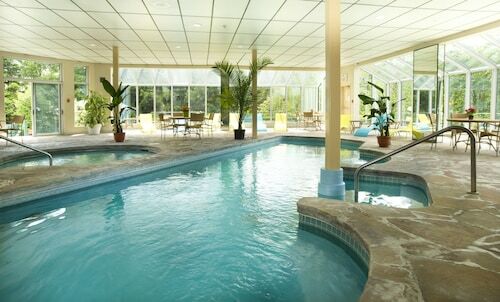 While visiting Morin Heights, make sure you visit the Amerispa Station Baltique and Acro-Nature. If you love sports and enjoy watching games you might like to make a trip to Olympic Stadium, which is 60 kilometres (38 miles) to the southeast of Saint-Sauveur. Stay right near the action at the Auberge de La Fontaine or the Loft Hotel. If you are flying into or out of Pierre Elliott Trudeau International Airport and would like to stay nearby try Montreal Airport Marriott In-Terminal Hotel or Hampton Inn & Suites by Hilton Montreal-Dorval. 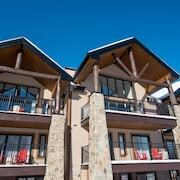 What are the most popular Saint-Sauveur hotels? 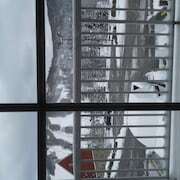 Are there hotels in other cities near Saint-Sauveur? 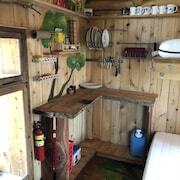 What other types of accommodations are available in Saint-Sauveur? 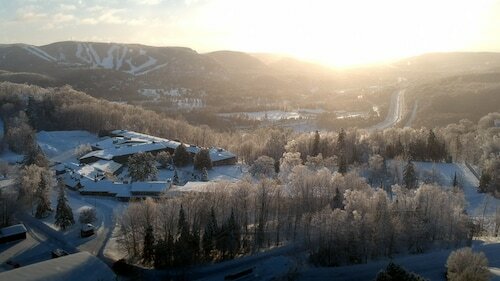 Explore Saint-Sauveur with Expedia.ca’s Travel Guides to find the best flights, cars, holiday packages and more!